We spend a great deal of time with clients talking about trust. How to earn it. How to build it. How to give it. Organizations need more trust. Relationships need more trust. Teams need more trust. It is essential to smooth operations, breakthroughs, and innovative results. It also makes life easier and more fun – and work easier and more fun. But how do we earn it? And how do we keep from losing it? Because it is earned a small bit at a time, and it is lost in bunches. Years ago, I heard a fable. An unhappily married couple went to a wise elder. “We don’t love each other anymore,” they said. “What should we do?” “Love each other more,” was the response they received. When they argued and questioned that response, the elder replied that love was actually a verb, not a noun, and that the only way to build and increase love was to perform acts of love. I believe trust is the same – it is a verb, not a noun. Penny by penny we need to earn and build trust with someone – to do the things we say we’re going to do, to keep our commitments, to treat them fairly and nicely, to be willing to ask about and consider their perspectives and needs. We need to make deposits into an Emotional Bank Account. And we have to do our best to not make withdrawals, to spend down the trust we have built, as it can be depleted so easily. 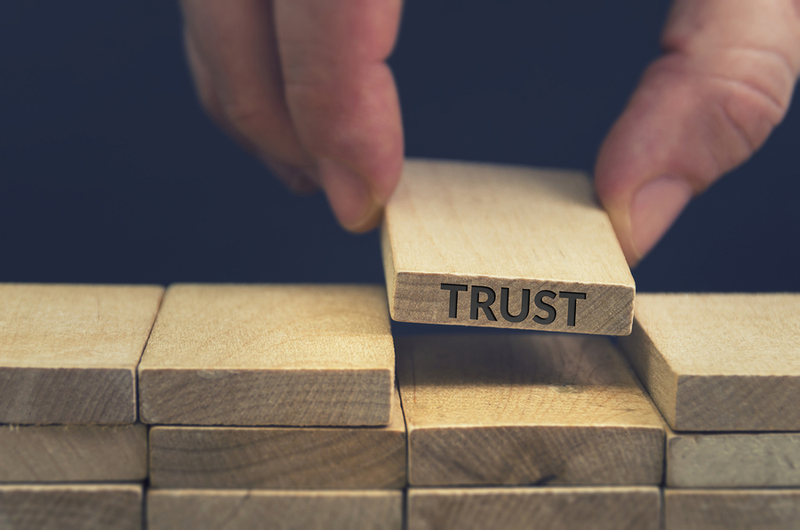 When a client asks us how best to build trust with someone, we also, generally, offer “trust them.” One of the best ways to engender trust is to be the first one to give it. To be willing to offer the benefit of the doubt to someone. To be willing to assume good intentions. To be willing to look for – and see – the best in someone. Trust is essential for life, work, leadership, relationships – pretty much everything – to work. But when we consider trust as a verb – as something we do, as a way we can connect with others – we can continue to earn it, penny by penny. How have you successfully built trust with others? If you want to trust more, and to earn more trust, contact Lisa at lkohn@chatsworthconsulting.com.